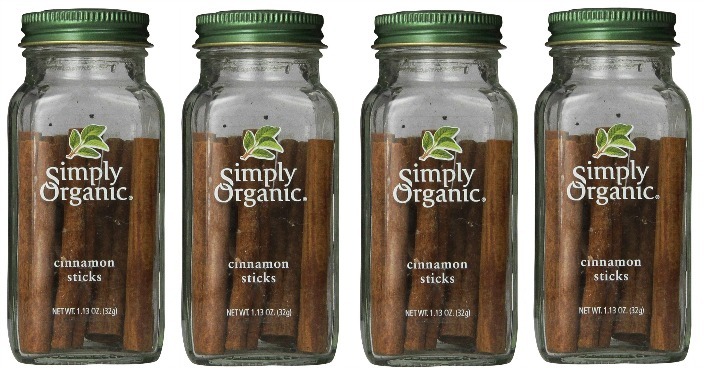 Simply Organic Cinnamon Sticks Just $3.11 PLUS FREE Shipping! You are here: Home / Great Deals / Amazon Deals / Simply Organic Cinnamon Sticks Just $3.11 PLUS FREE Shipping! Cinnamon sticks are great for crafts and drinks and scenting a home in the fall and winter months – so this is a great deal to get right now! You can get 1.13oz Simply Organic Cinnamon Sticks for just $3.11 PLUS FREE shipping right now! This price is 50% off the normal price, too!